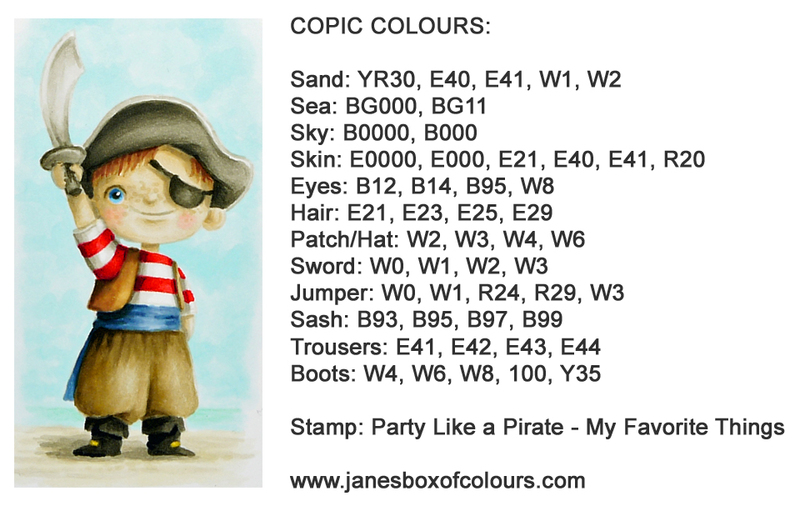 As promised, I am back today with another teaser and oh boy you are going to love this one, it is called Party Like a Pirate!!! I kept this one really simple as I knew I wanted to concentrate on the colouring - you know me - I'm happiest with a Copic marker, pencil or paint brush in my hand! So I just used a combination of Traditional and Stitched Tags, mounting my Copic card on MFT Gravel Grey card. Well that is it for now, I will be back in a couple of days with another project. Oh and don't forget that some of the links for the new products below will not go live until launch day. 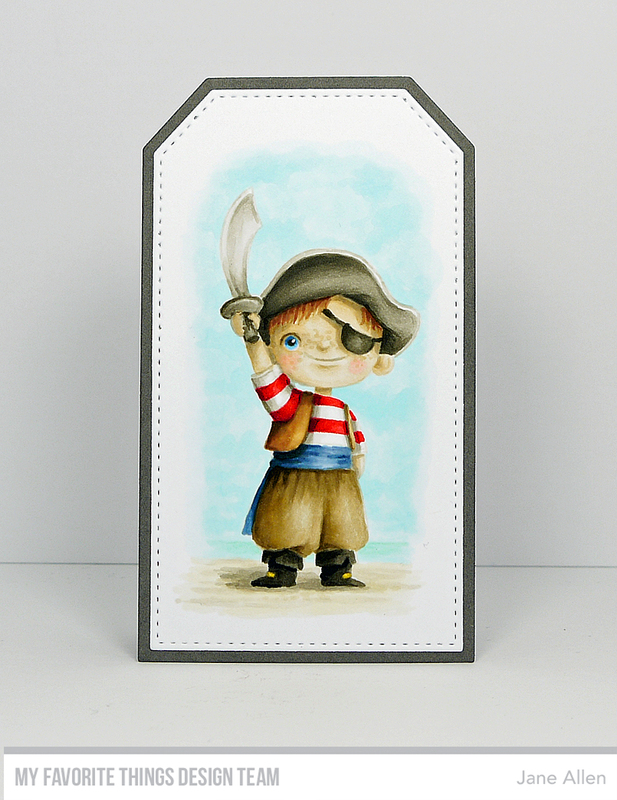 Gorgeous coloring of this sweet little pirate! Thanks. Your colouring is amazing! I love this stamp set. Fabulous coloring of the young pirate! Isn't that a cute little pirate! He is nothing short of adorable. Who wouldn't love receiving this swashbuckler?! The shading the highlights are so well done. And I love his freckles! Wow - super, amazing colouring skills! You really bring the image to life.